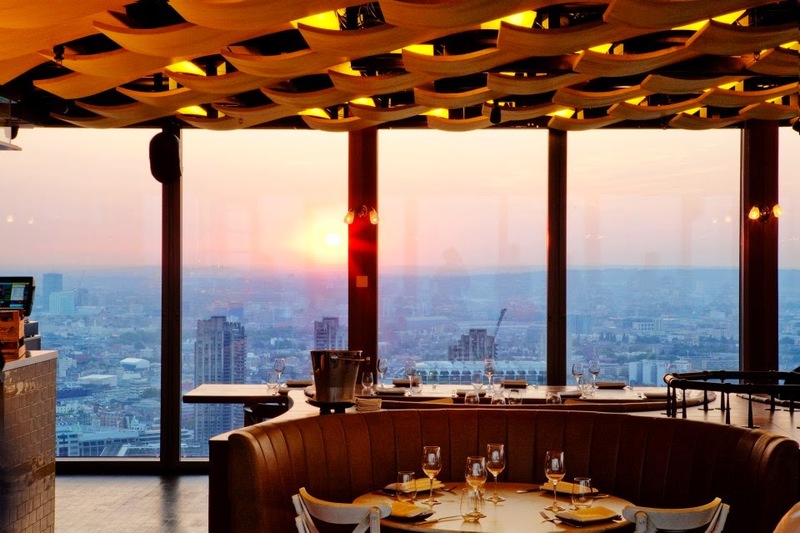 Based on the 40th floor of the Heron Tower, Duck & Waffle is officially the UK’s highest restaurant and offers an unparalleled, aerial view of London. Award-winning chef, Daniel Doherty, promises a convivial dining experience with its vibrant atmosphere and range of European inspired dished, designed for sampling and sharing. 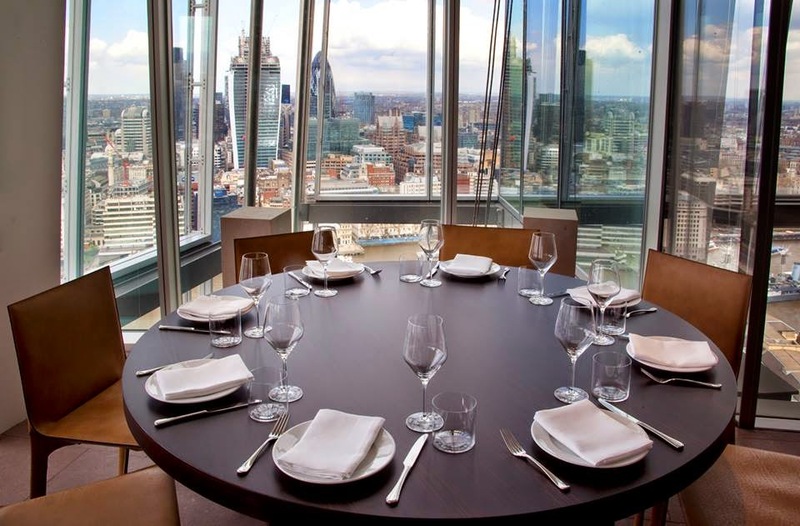 The Babylon Restaurant is located high up on the seventh floor, with an amazing panoramic view of the city landscape. 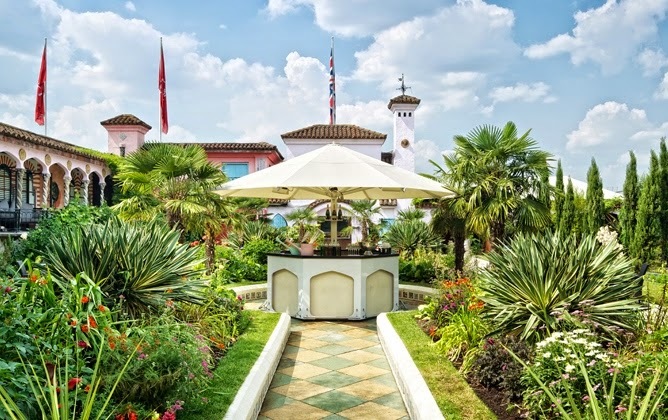 Following your award winning meal, best described as contemporary British cuisine, it’s time to visit the rooftop for a walk around 1.5 acres of horticultural refinement. With three themes on offer, including the Spanish Garden, the Tudor Garden and the English Woodland, every attention has been made to produce something truly stunning. From fully-grown fruit trees to a flowing stream bustling with wild life, if you didn’t make the most of the London view during dinner you’ll almost certainly forget to do so now. Situated atop of London’s premier department store, ‘On the Roof with Q’ is a pop-up restaurant open until 27th September. The man behind it is ex-head chef of The Ivy, Des McDonald, who promising a delicious selection of late breakfast, lunch, dinner and afternoon tea with a 'raw, grill & smoke' focus. 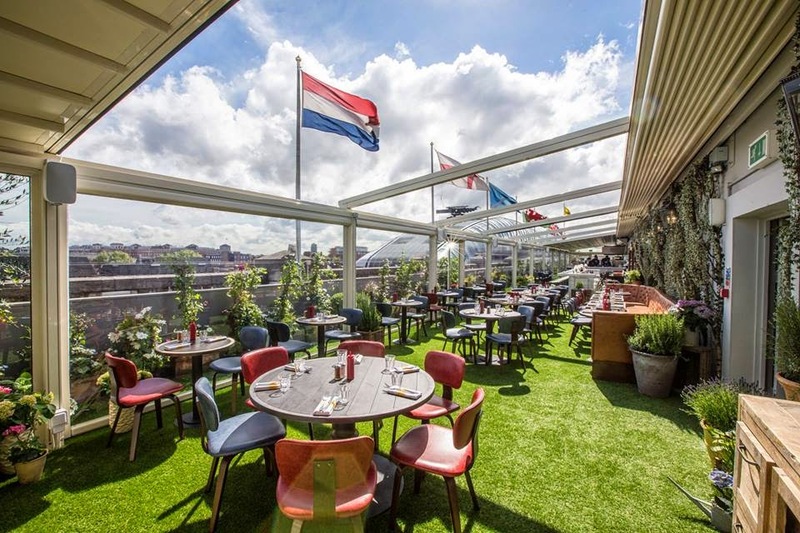 Complete with a fully retractable roof, you can enjoy your meal rain or shine which will come as a great comfort to those more au fait with the turbulent British summer. So sit back with your Inka grilled tiger prawns, spiced chickpeas, and heritage tomatoes, or your peppered tuna, wasabi avocado, and lime caviar, and admire the 18th century architecture of Mayfair. 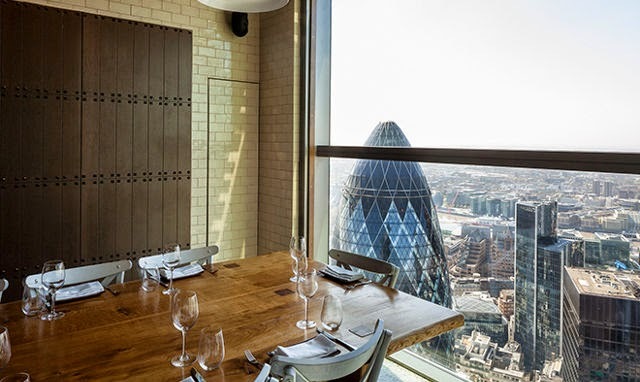 Overlooking the neoclassical dome of St Paul’s Cathedral, the restaurant’s skyline view also draws in a variety of other famous landmarks including the London Eye, the Tate Modern and the sky-scraping Shard. Decor borrows from the latter of these building, opting for a more contemporary, chic style, with high-polished glass ceilings, Verner Panton globe pendants, and Italian blown glass chandeliers. The fact that Oblix is located half way up Western Europe’s tallest building, you instantly know the scene is going to be spectacular. 32 floors up, the best seats are blessed with bird’s eye views of the London Eye and the Houses of Parliament. Owned by restaurateur, Rainer Becker, who is best known for his contemporary Japanese restaurants, including Zuma and Roka, Oblix caters for a more westernised pallet with dishes from the spit roast, charcoal grill and wood-fired ovens. If you’ve already visited these dizzy but delicious heights, share your review below. And to ease that inevitable feeling of bloatedness afterwards, why not slip into one of our ultra comfortable, premium tracksuits when you get home.